Lock screen gestures were first popularized by CyanogenMod many years ago. For those who don’t remember, lock screen gestures allow you to draw a shape over a blank lock screen to unlock or directly open an app of your choosing. Unfortunately, however, not every ROM supports lock screen gestures. Thankfully, this is where XDA Senior Member mohamedrashad‘s Pi Locker comes into play. At the surface, Pi Locker is very similar to previous implementations. 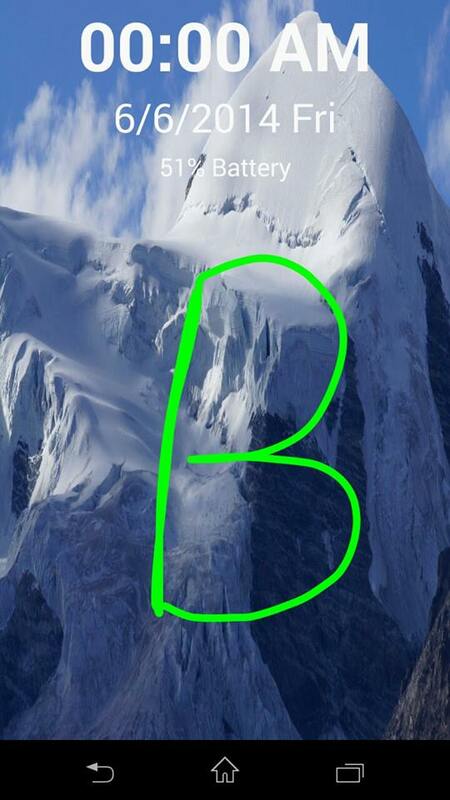 It allows you to draw gestures atop a clean and minimal lock screen to launch certain applications. The app comes with built-in support for nine gestures, which can be used to unlock your device, switch to vibration and silent modes, return to general mode, access your browser and camera apps, toggle your WiFi and Bluetooth, and turn on your flashlight. The lock screen allows users to configure gesture color, lock screen text, and background image. Unfortunately, users cannot yet define custom gestures, but support for this will be added in the future. If you’ve been looking for a gesture-capable lock screen replacement, head over to the application thread and give Pi Locker a shot.